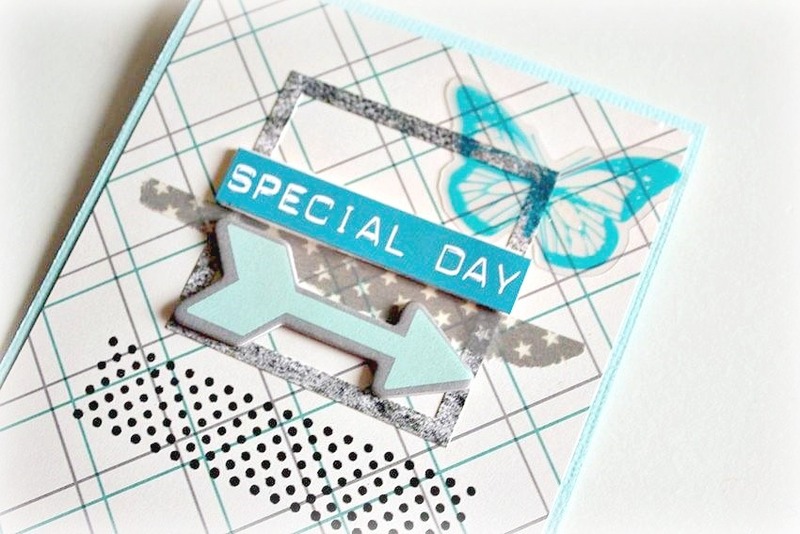 Hi, Kali here with you today sharing a layout & a card that I created with our June 2014 Hip Kit & Add-On Kits. 😉 I started my layout by using my Silhouette Cameo to cut a large butterfly out of a sheet of white cardstock. I decided to use the negative shape for the base of my page and I backed the butterfly cutout with some aqua paper from our main kit. 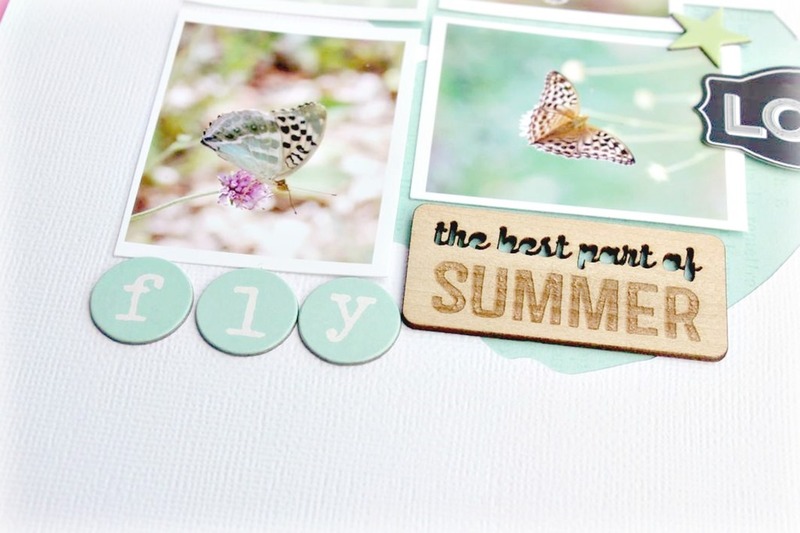 Then I layered 4 photos of these beautiful butterflies onto the base of my page. 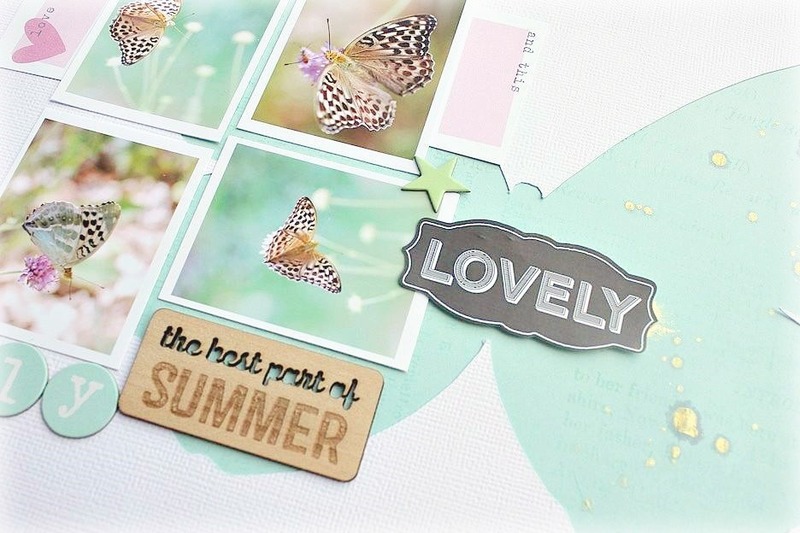 Because I love the photos, I wanted to keep my layout clean and simple to highlight the photos – so I chose to use a few simple embellishments from our kit. For a little contrast and a pop of color, I matted my layout onto a sheet of bright pink cardstock. I hope you like it!